Today, mHealth, Mobile Health, Mobile Apps and Wearables are hot topics with consumers and regulators alike. 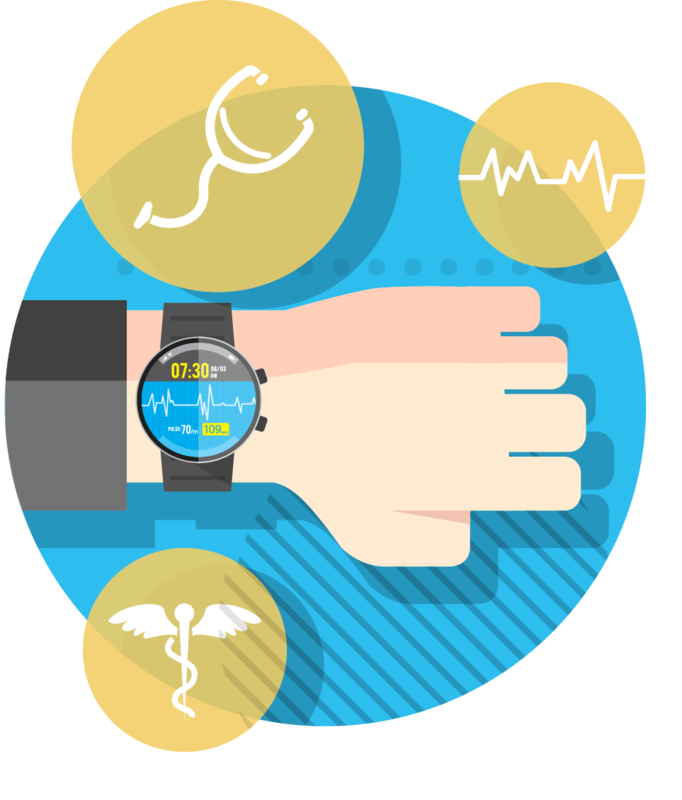 We're also starting to see consumer-grade wearables and mHealth technologies creeping into clinical trials. We've written this blog for those looking to use this area more. First, why are we talking about using consumer-grade mHealth apps and devices in clinical trials? Do they even work? To the surprise of some in our industry, the answer seems to be "Yes, if done right". For resources and research published this year on the topic, we suggest having a read of 'Effectiveness of an Activity Tracker- and Internet-Based Adaptive Walking Program for Adults: A Randomized Controlled Trial' and 'Interrater Reliability of mHealth App Rating Measures: Analysis of Top Depression and Smoking Cessation Apps' for some current research on how these can have positive, measurable effects, and some of the key factors for apps and devices that deliver it. What about regulation and regulators though? Isn't this some crazy wild-west area that reputable sponsors steer well clear of? Some of you may have heard about an app called Instant Blood Pressure (IBP), a once best-selling mHealth app which was pulled from App Stores last year over claims of dangerous levels of inaccuracy. Does that mean the mHealth space is as bad as feared, and sponsors should run away? We'd say no! The good news is that regulators have now largely caught up, and there's a growing body of information out there to help developers and sponsors. The FTC have just released a tool in conjunction with the FDA and others which helps sponsors and developers work out which regulations and laws will apply to a mHealth App or Device. With plenty of links, resources and guidance, things should be a lot clearer for all involved. The FDA has maintained a consistent message since at least 2014 (where we engaged in discussions with them on the topic whilst speaking at MCT Congress), that all technology used needs appropriate assessment, and suitable validation. Last year the FDA published a section on their site on Mobile Medical Applications explaining what kinds of mHealth applications they do and don't cover. In conjunction with their Digital Health site there's now a lot of resources and regulatory guidance out there to calm the nerves of QA folk, at least somewhat! 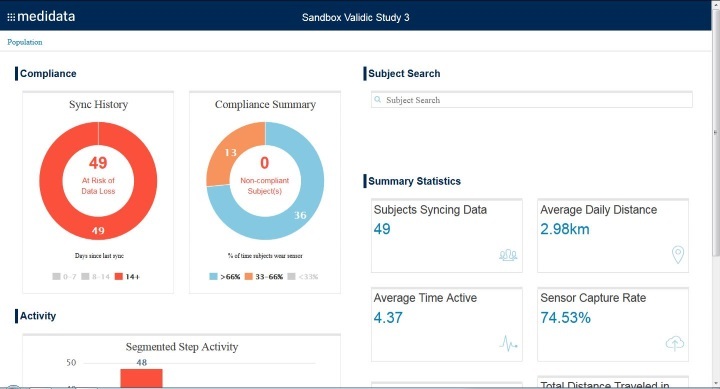 One app worth mentioning before we dive into the rest is Medidata's Patient Cloud. One part of this is ePRO, allowing the Clinical Data Management team to create a Patient Reported Outcome questionnaire with 19 of the top 20 most commonly types, all from within the RAVE environment. These can be pushed out to the patients for more real-time or milestone-appropriate feedback. Unlike with traditional patient diaries, you actually know when they get completed. What we like about this solution, as opposed to most other ePRO ones, is the SensorLink part. 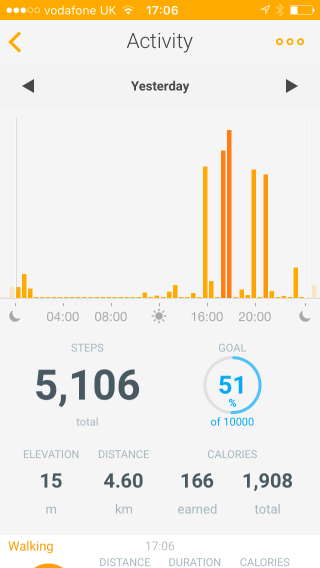 This connects with over 200 sensors, including the most popular wearable and fitness devices, then sends the data back for additional programming analysis or inclusion in the eCRF. Rather than having to worry about getting data back from the wearables or sensors you might be using in a trial, along with the associated validation, SensorLink can handle all that for you. The patient compliance reporting is also important too – sites can spot patients not taking the readings/not wearing the device/not syncing or not charging, and contact them to correct this while the trial continues. Rather than discovering the lack of data or compliance when it's too late, problems like this can be solved quickly. Now let's take a look at a few of the mHealth Apps we think you should know about, try out or learn from. 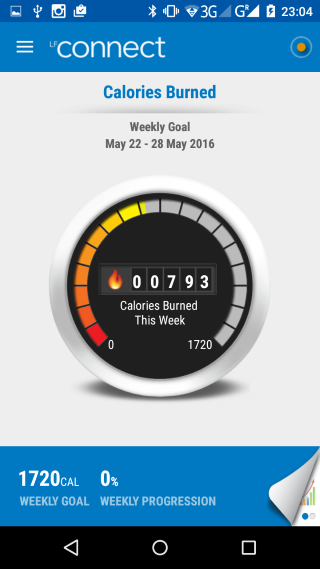 One of the challenges with many mHealth Apps is keeping people engaged. Where there's a device to wear too and keep charged, the bar is even higher, with research showing 1/3 stop using it within 6 months. 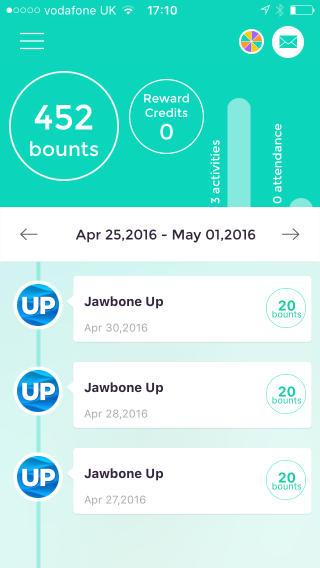 JawBone tackles this with tailored advice and context-sensitive alerts. 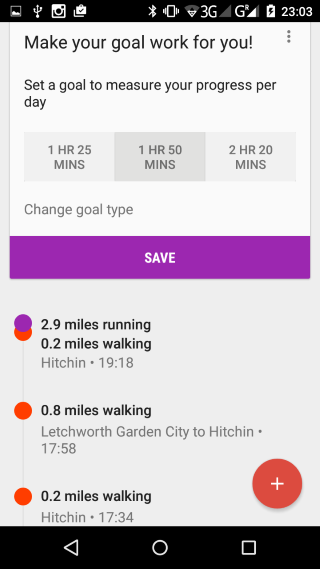 Shortly after you've finished an activity, the app prompts you to record it with just a few clicks. 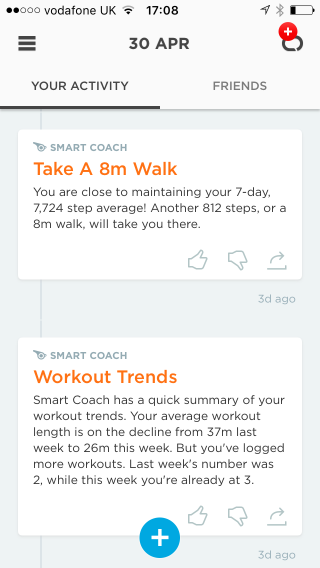 Later, the Smart Coach offers helpful suggestions and encouragement to keep you going, prompting you to take a short walk to hit your goal or maintain your average. The design of their dashboard is nice too, focusing on the key metrics with an un-cluttered approach, but letting you quickly drill down into more of your data and trends when you want to. 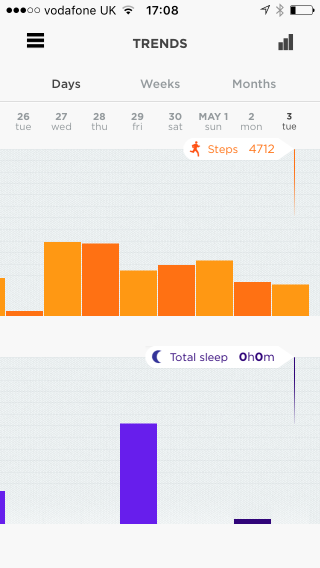 Withings, the French mHealth company recently bought by Nokia, has a similar looking app. 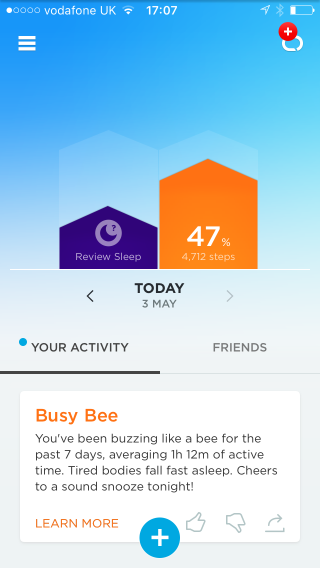 For someone just looking for step and activity tracking, the functionality is very close, though Jawbone has the edge on tailored coaching. Withings has the edge when it comes to the rest of the personal health monitoring. For swimmers, their new Go watch is very interesting, but it's their blood pressure monitor, smart scales and temperature sensors that set them apart. You can use any one, or combine several for a connected-self view of your health and progress. With the boost likely from Nokia, and their own Withings Health Institute doing research and partnered trials, we think Withings has the edge for pharma involvement. 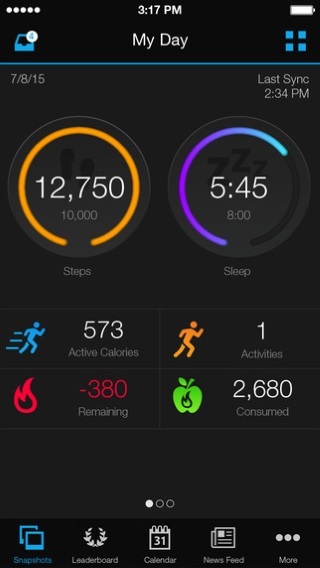 When it comes to run tracking apps, there's a lot out there to choose from. The one that caught our eye is LF Connect from gym equipment company Life Fitness. 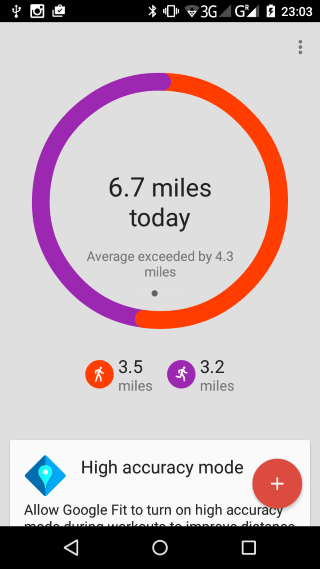 For those running outside, its GPS mode tracks progress and shows maps, much the same as most others. What's very interesting though is how it integrates with their newer gym equipment. 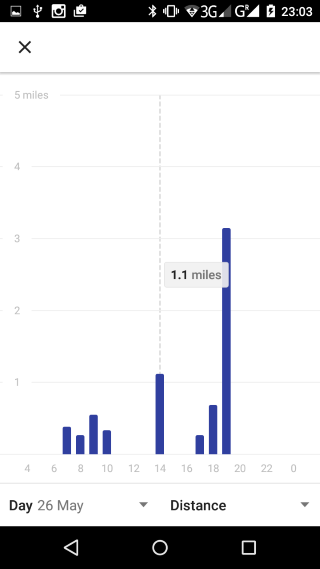 Tap a button on the screen of the treadmill or similar to show a QR Code, point your phone's camera at that with the app open, and the two link together to let you track the progress of your gym workout on your phone. 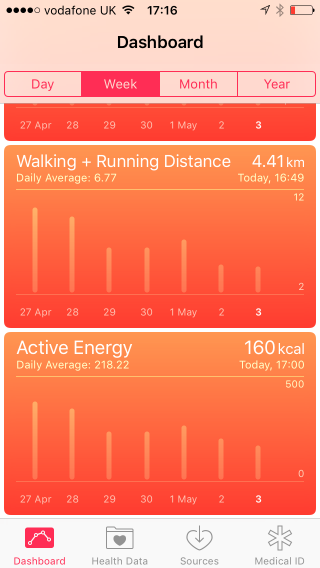 Simple to use, and works well, plus it feeds data to things like Apple's HealthKit and Google Fit. 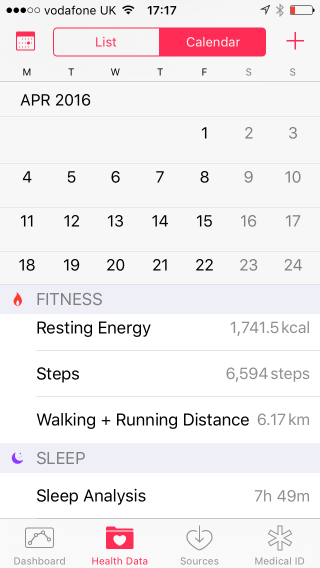 Watching the step count and calories count up on your phone in real-time with the running machine sounds simple but few others do it or do it well. 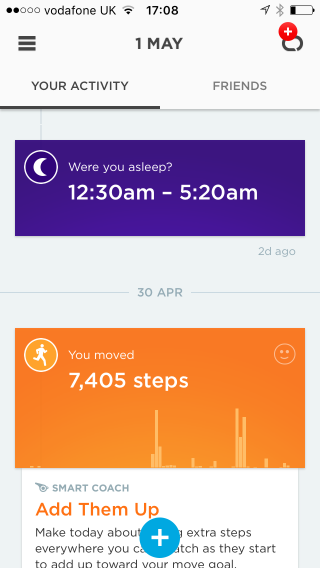 In the next year or two, we expect more of this connected-devices type behaviour to come into the mHealth app space, for now LF seem to have the lead. Probably the two biggest players in the mHealth space at the moment, by number of users, are Apple and Google. 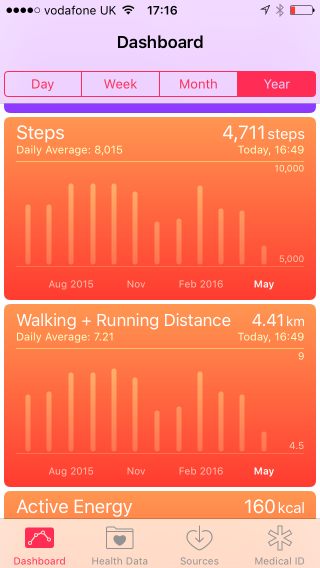 Apple HealthKit and Google Fit are their respective main apps. 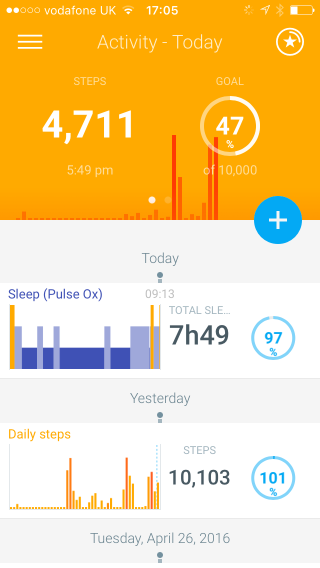 Integration with them is likely a must-have for any future mHealth apps that want to gain traction, as they aim to be the central data-broker and display for their user's health and activity data. 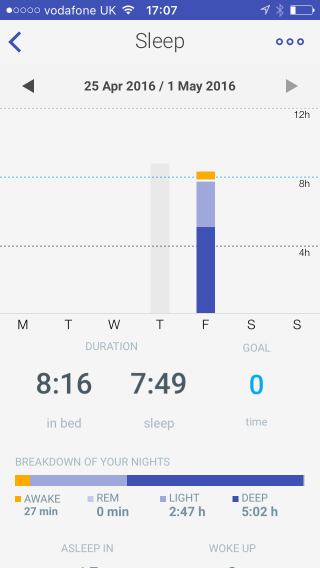 One nice thing is how they can combine data from multiple sources, such as sleep data from one device and running data from another, though it doesn't always work. 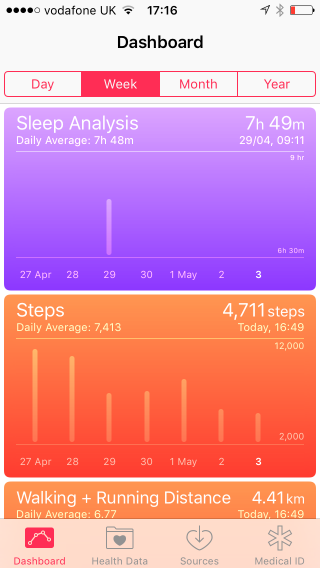 One day I apparently managed 68 hours sleep, after Apple Health plus Jawbone plus Withings all got a bit confused! If all this has inspired you, there's a number of resources out there. The FTC tool with its links and the FDA site on Mobile Medical Applications are the first two we'd suggest. A recent paper on the security risks of BYOD - Bring your own device is a must-read, and we'd say even those planning on Android-only should spend quite a bit of time on the Apple ResearchKit site and resources from there. Otherwise, one last note of caution – a recent review has shown that accreditation alone isn't enough to assure security or privacy when it comes to mHealth apps. If we had to recommend one curated list of mHealth apps, we'd opt for Ranked from MIT's Hacking Medicine program, which seems to do a better job than most at properly assessing with both clinical and technology experts. Otherwise, when picking apps to consider using, the FDA's repeated guidance still applies - appropriate Validation and Controls are key! Do you have any other mHealth Apps that you feel would be good to use in a clinical trial environment? Let us know in the comments section below. If you are interested in how our consultancy team can incorporate wearables into your clinical study design then schedule a call with our sales representatives.